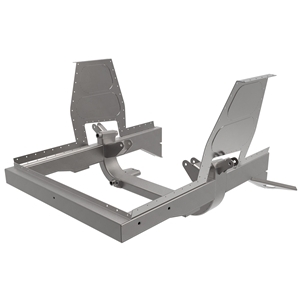 Firewall Clip Splined ARB 67-70 Mustang & Cougar Firewall Foward Clip System with 57-3/4" Minimum Hub Width Depending on Brakes, Choice of Motor Mounts & Splash Flaps. Important Note: FE Big Block Engine Requires Use of Oil Pan With External Oil Pump or Dry Sump System. NOTE: Must be used with TCP Front Frame Clip Suspension Package.